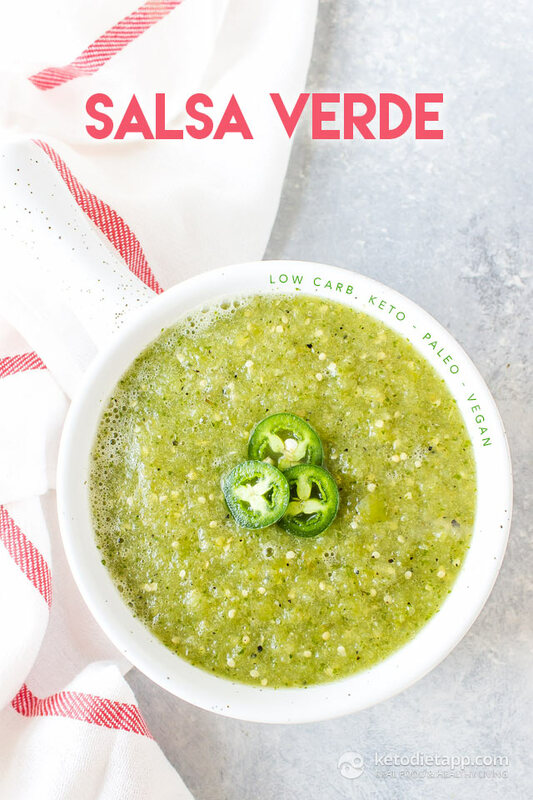 This Salsa Verde, or know as the green salsa that you’re obsessed with at your local Mexican restaurant but never really knew what was in it, is packed full of flavor. I like to keep a jar of this salsa on hand at all times which is easy since it’s super easy to whip up. There’s a few different ways to prepare salsa verde but I like to broil the tomatillos, onion, and jalapeños until lightly charred for some extra flavor. After that a quick whirl in your blender is all that stands in the way of you pouring this onto everything you eat. Preheat your oven’s broiler to high and place the rack 3 inches (8 cm) from the flame. Line a baking sheet with aluminum foil for easy clean up. 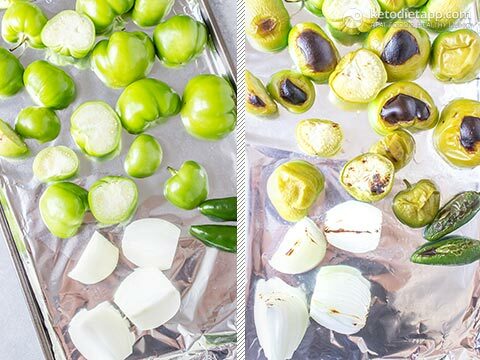 Cut the tomatillos in half and place them cut side down on the baking sheet along with the onion and jalapeños. Broil for 5 minutes until charred. 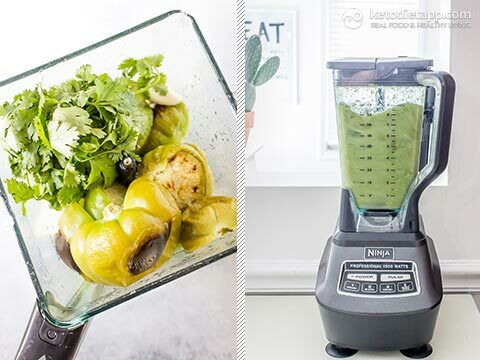 Transfer to a blender along with the remaining ingredients and blend until smooth. Season with salt to your taste. Store in an airtight jar in the refrigerator for up to two weeks. 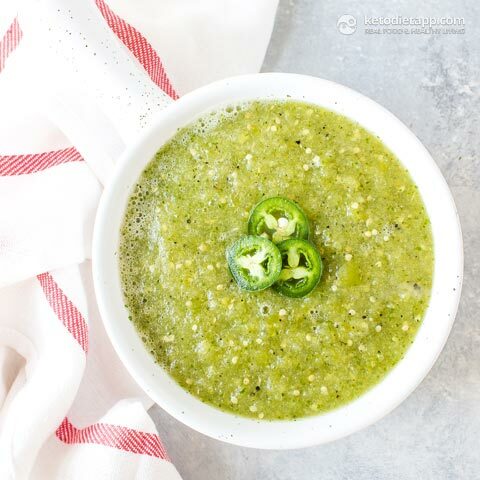 I absolutely love this salsa verde! easy and tasty! I am total freak for green salsa. Thank you!